Katsushika Hokusai (1760 - 1849). 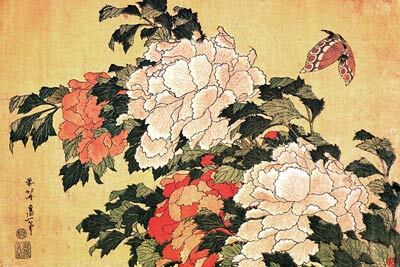 Katsushika was a Japanese painter and wood engraver, born in Tokyo, or Edo as it was once known. Within his 89 years he had changed residency some 93 times, to the contrary of cultural traditions where people in Japan rarely moved within their lifetime - Kaysushika was evidently a restless artist who experienced his fair share of tragedy, however there is plenty of humour and optimism, apparent within his work.